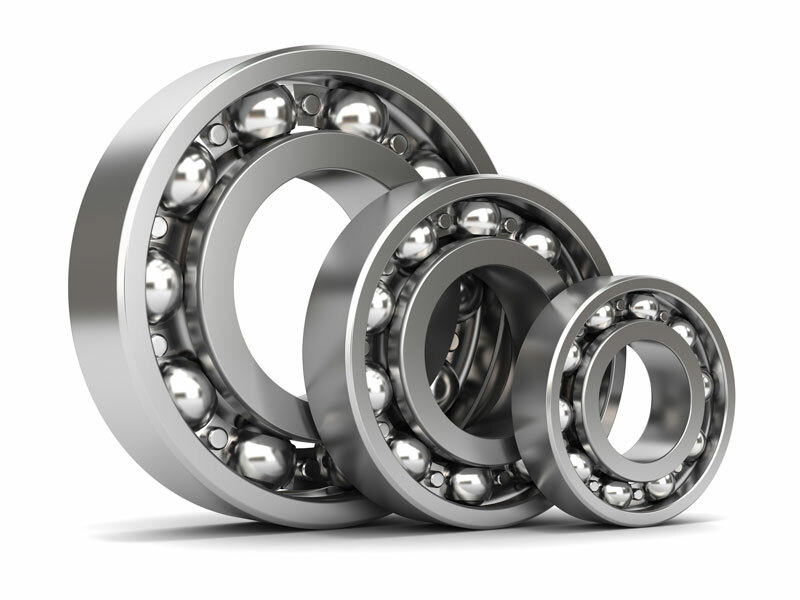 Exposed ball bearings need periodic greasing. Garage door pulleys and rollers may have bearings that require an annual lubrication. Lubricate a garage door to keep it working smoothly. Most doors squeak when they need to be greased. A once-a-year lubrication of all the moving parts is usually enough to keep the door in good shape. Regular maintenance, including lubrication, extends the time between garage door repairs and replacements. You can buy a lubricant specifically for garages. The sprays don’t leave a drippy or sticky mess. If you’d rather not a buy a specialty product, use a white lithium or silicone spray. Choose an aerosol with a straw so you can target hard-to-reach areas and small moving parts. Start by spraying a small amount of lubricant, just enough to keep the door moving easily. You can always add more later if needed. Don’t apply so much that the spray runs or drips. Begin by closing the door. You may need a stepladder to reach the top of the door. Steel rollers: Spray the stems and ball bearings on the rollers. Avoid spraying the wheels themselves. Non-metal rollers don’t need to be greased. Torsion springs: Lightly spray the headplate bearing surfaces, the tube and coils. Extension springs don’t need lubricating. Not sure which type of springs you have? Extension springs stretch while torsion springs rotate. Steel hinges: Spray at the pivot points. If you have plastic hinges, don’t grease them. Spraying plastic hinges can cause more harm than good. Pulleys: Spray the pulleys if the bearings are visible. Some pulleys have enclosed bearings that don’t need greasing. Rail: Lightly spray the top of the opener rail that runs along the ceiling. There’s no need to grease the bottom of the rail or the chain. Keep the tracks in which the rollers travel free from oil and lubricants. Greasing the tracks attracts dirt and dust. An accumulation of greasy dirt keeps the door from moving smoothly. Clean the tracks by wiping them with a rag. If lubricant drips onto the tracks after lubricating the rollers, wipe away the excess grease. Is the Door Still Making Noises? After lubricating the door, open and close it a few times to distribute the grease. If the door is still noisy, add more lube where you hear the noise. A door can be noisy for various reasons. Check out this post for other common causes of a loud door. If your door continues to misbehave, give us a call. We’ll check out the door and recommend the best fix.